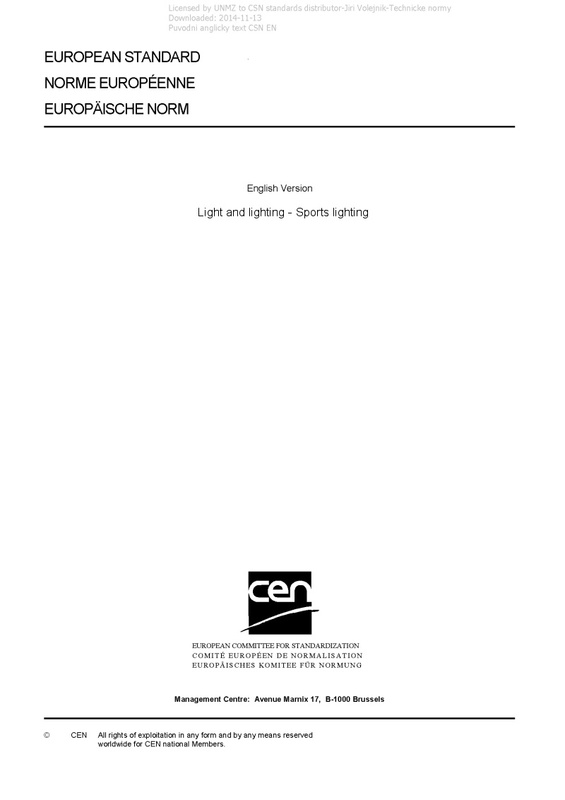 EN 12193 Light and lighting - Sports lighting - This document specifies lighting for those indoor and outdoor sports events most practised in Europe. This document only considers artificial lighting. It provides lighting values for the design and control of sports lighting installations in terms of illuminances, uniformity, glare restriction and colour properties of the light sources. All requirements are intended to be as minimum requirements. It also gives methods by which these values are measured. For the limitation of glare, it also points out restrictions on the location of the luminaires for specific applications. For emergency lighting this document refers to the requirements of EN 1838.